Björk Digital opened in downtown Los Angeles last Friday, and it is truly one of the most creative things you will ever experience. I was fortunate to attend the press preview for this visual extravaganza from the mind of the Icelandic real life folk hero named Björk. I've adored her ever since I first heard her singing "Birthday" with The Sugarcubes on a mix tape a California boy I liked had sent me, so I was thrilled just to be there. Her voice was otherworldly, and wholly original, set apart from absolutely everyone else on Earth ... because she doesn't seem to really even be OF this Earth. That truism was further cemented with the opening of this incredible virtual reality exhibit on now through June 4th (so act fast!) at The Music Box at The Reef, a kind of odd office building in a rundown area with this maze of wonder going down in its basement. I ran into some friends in the lobby, and we were all bursting with excitement to be able to be the first ones to view this show in its West Coast premiere. 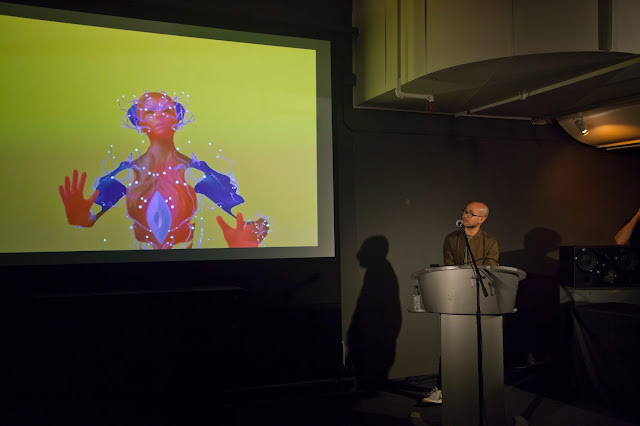 After some coffee and Icelandic water, we were escorted into the theater room for a press Q and A with the major Björk collaborator and the director of three of the exhibit's videos, Andrew Thomas Huang. The L.A. Philharmonic is presenting this show as part of its Reykjavik Festival (wherein Björk will be performing with full orchestra at Disney Hall on May 30th), and the Phil's Johanna Rees welcomed everyone to this opening. Huang began the Q and A by introducing a special guest ... Björk! She was there live via Skype from New York as an action capture avatar, and adorable even as a futuristic space alien. Her speaking voice is so sweet you just want to record it and have it with you to cheer you up when you need it, and glancing around, you could tell that everyone there was completely enchanted. Rees asked Björk why it was important to bring this exhibit to L.A., and she replied that she had to go with the flow after her new album (around which this show is centered) Vulnicura had been leaked, and she improvised to come up with something spectacular to mark its release. Mission accomplished. The show has already seen great success in Tokyo, London, Iceland, Montreal, Mexico, and Houston, so please try to go if you can. It's something else. Someone asked how Björk had affected other artists in Iceland, and she said, "People have blind spots about themselves, but I went abroad and made the nation think that they can do it too." When asked if the Disney Hall show would have all these visuals, she responded that "All the focus will be on the music. I'm fond of extremes, as you may have noticed, so this will be all about the ears, and no visuals." But, she added, come to the FYF this Summer and there will be lots of surprises ... YES. 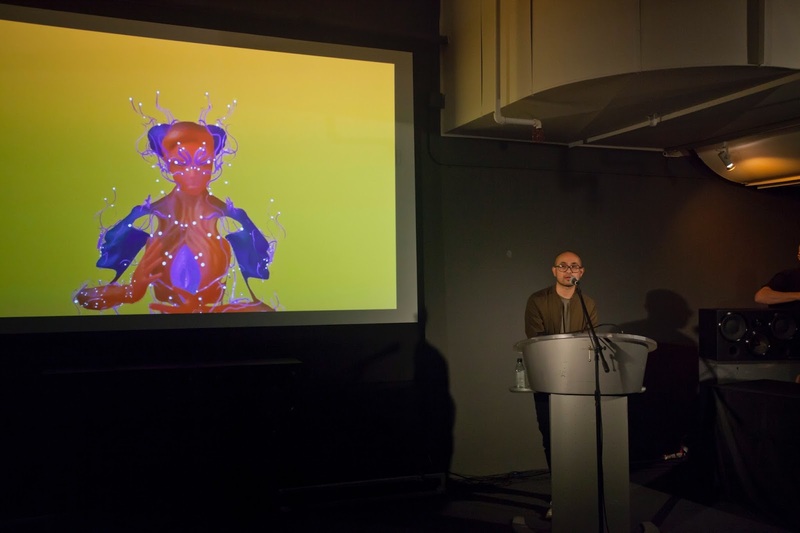 Huang got some technical questions about film making in v.r., and Björk chimed in that "It reminds me of the future." I love that. One reporter asked about Björk's own listening tastes, and she said she listens to so much music that her playlists are 17 hours long. I had never heard of no one she mentioned, which is just how you'd want Björk's tastes to be. She did say that she has been listening non-stop to "Ethiopian vinyl" ... Rad. Working with local orchestras has been a great way to incorporate local sounds into the performances, which I thought was cool. I thought it was REALLY cool, however, when I got to ask Björk a question LIVE. I asked how being such a performer, if this show with really no audience feedback to her was as satisfying. She never really answered that question, instead going off on a very great bunch of tangents about the differences between her live orchestra shows, her D.J. gigs, her recorded song versions, her new composition book, 34 Scores, for people to play and sing her songs at home with family, and said that whatever medium she uses, "My intention is to reach intimacy with the listener," and added that the virtual reality is her at a distance, but it's actually even more intimate than a concert or c.d. experience. She was right, because within this exhibit, you pretty much inhabit Björk's body and mind. The exhibit is fairly easy to put on, as it's really a bunch of headsets in empty rooms, and as Björk said, "The magic happens in the headsets." After she said an adorable "Thank you" and the avatar waved, signing off, it was time for us to experience that magic for ourselves. We watched the premiere of her "Notget" video, directed by Warren duPrees and Nick Thornton Jones. 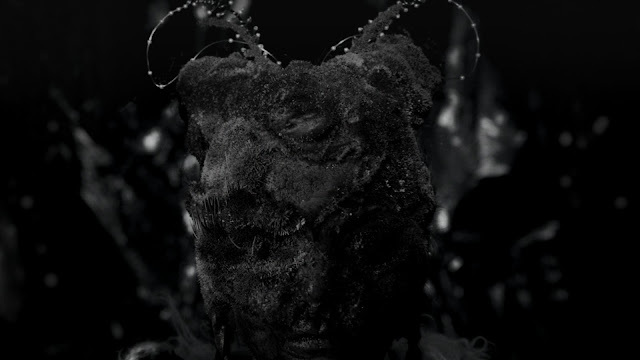 Björk is a woodland moth-like creature emerging from the Earth, and I don't think it's hyperbole to say that while watching it I could only think, "Björk is the most creative person living today." She just is. After the video, we lucky few in the first group to go through the exhibit went to the "Biophilia Room", an educational space that has a bunch of Ipads with apps custom developed by Björk to teach about music and science. I didn't really get it, to be honest, and would need a whole bunch more time to check out the apps, as they're pretty involved, and the proceedings need to keep moving along, as everyone is on a timed ticket. There should be (and maybe there is) an app you can just fool around with at home. The first v.r. video we saw was "Black Lake", an immersive experience directed by Huang, where you walk around a room surrounded by 50 speakers. You listen to the pristine sound while watching emerge from a bunch of dirt as a waterfall cascades out of her body. Her masks and costumes are utterly incredible, and it's hard to keep your jaw from dropping all the way to the floor. 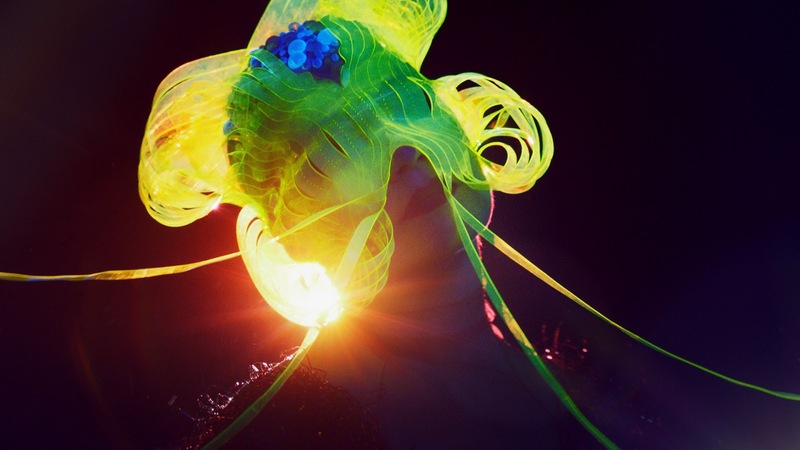 "Quicksand" was directed by Neri Oxman, of a show Björk performed in Tokyo in a 3D printed headpiece that was again simply amazing. Part two of this room was "Mouth Mantra", directed by Jesse Kanda, and the only one that made me kind of sick. The whole thing is shot from inside of Björk's mouth, and as it all swirls around, I thought I might throw up. It's pretty intense, and I was cool for this one to be over and remove the headset, but also totally impressed again by its creativity. My favorite room was "Family", again directed by Huang. You're tethered by your headset to keep you from smashing into things, but you get handsets that allow you to create right along with Björk there in her world. I actually walked through her body, and it felt extra strange - and had me wishing I'd eaten some edibles before I got there. You spin yellow swirls around via hand triggers as you move through what seems like outer space along with Björk in her awesome costumes. This one is the centerpiece of the whole thing, and captures Björk's emotional journey "from despair to empowerment", according to the materials. It. Was. So. Cool! "Notget" the v.r. version is less interactive, and you stand there while a golden Björk dances right around you, super in your face. Once again, I was fully mesmerized by the outfits, and want only to wear one like hers someday ... just completely out there and over the top and driven only by fantastical imagination and unparalleled creativity. The last stop is back to the Cinema Room, where you can sit on the floor on pillows and watch up to two hours of all Björk's past - and stunning - videos. I took in a good few before my friends in the group after me caught up. 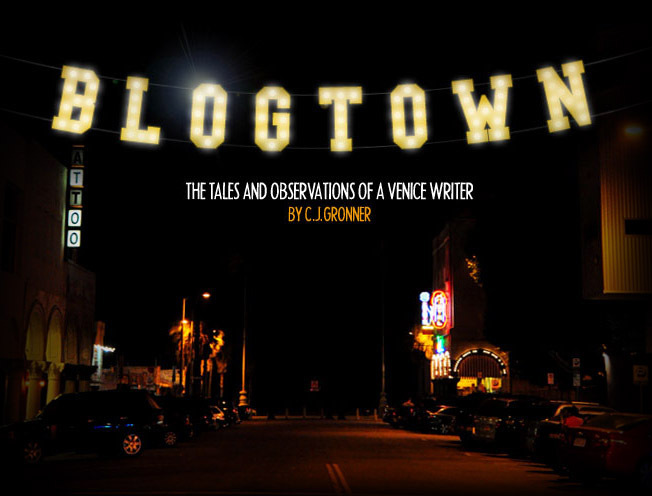 We all compared notes, and all unanimously named this as the coolest thing going on now in Los Angeles. 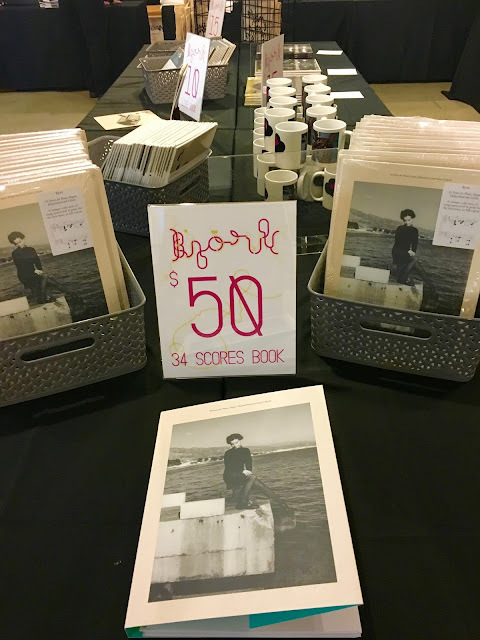 There is also a merch area at the exhibit's check-in area, so you can take home a memory of your time with Björk - not that you'll ever forget it. I really, really hope you get to see it while it's here, because you will remember it for always. Sincere congratulations to all of the über-creatives who made this experience possible, because you are all at the very top of the game today. 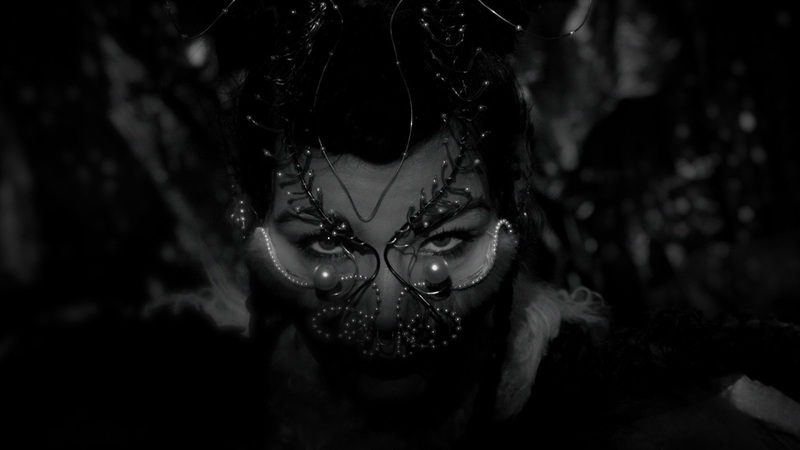 And see the fantastically wonderful Björk any chance that you get, because I've seen no one out there creating as impressively, and as consistently, for so long and so beautifully. Wow. Just WOW. Tusen takk, Björk and the L.A. Philharmonic! 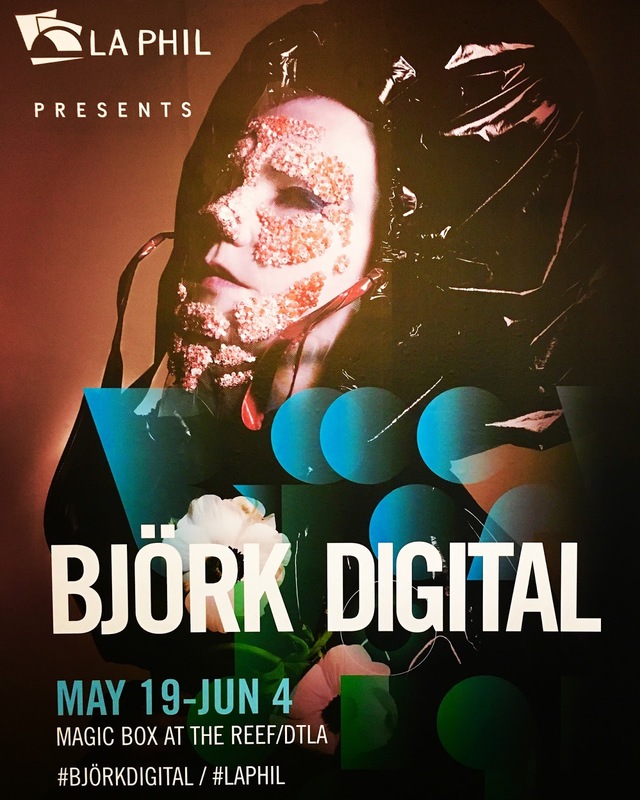 Björk Digital is on now through June 4, 2017. The 2017 Venice Art Walk - 38 Is Great!